An injured knee is expected to keep Detroit Pistons standout Blake Griffin sidelined for the playoff series against Milwaukee. 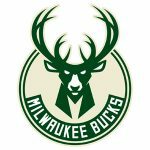 The Bucks won the first game Sunday 121-86. If Detroit doesn’t come back to win the series, Griffin’s season would be over. He scored 45 in a game against Oklahoma City two weeks ago, but his knee swelled up again and he wasn’t effective two nights later against Charlotte. A league source says the chances he could play this weekend are “slim.” Griffin averaged twenty-four-and-a-half points, seven-and-a-half rebounds and just under five-and-a-half assists-a-game during the regular season.